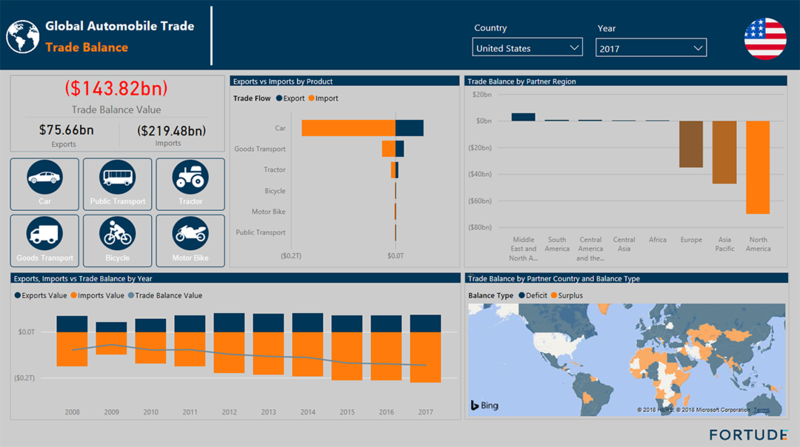 Through interactive visuals, the Global Automobile Trade Analytics Tool unlocks insights into Imports and Exports activity across countries. 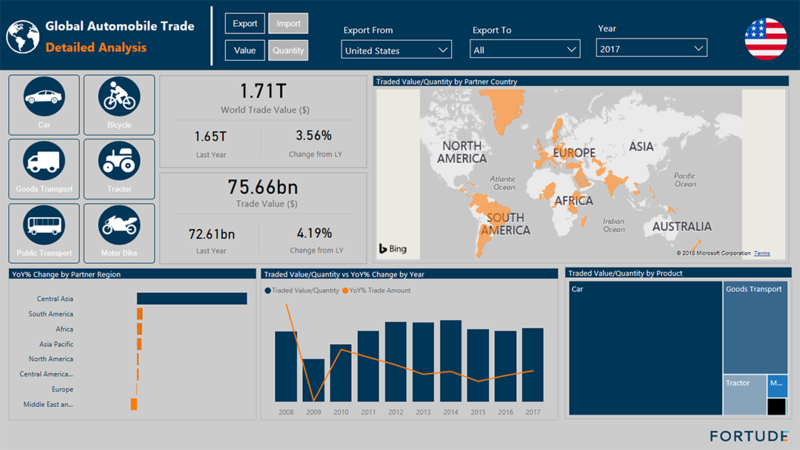 Given the growing complexity of the trade, gaining visibility of imports and exports of automobiles is a key challenge for the global automobile traders- a challenge that hinders expansions in the international trading arena. 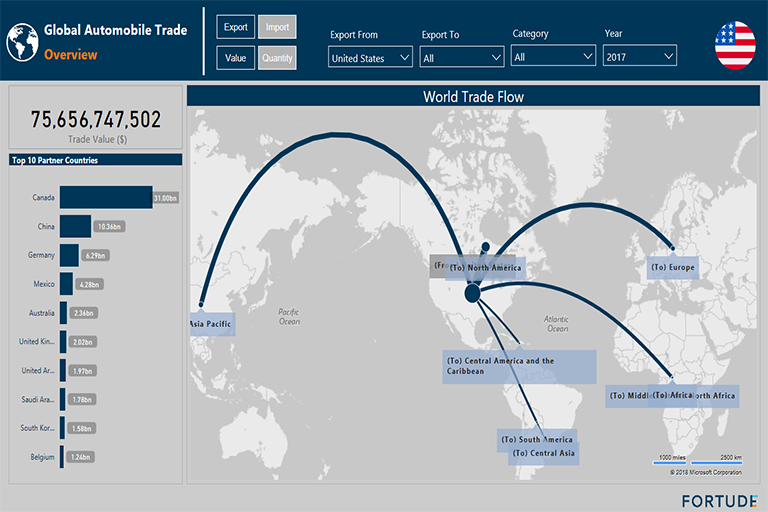 Businesses are typically constrained by resources or are heavily reliant on third-party tools to help them to improve the transparency of international trade. 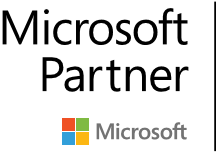 This solution developed with Power BI helps businesses to gain insights into the global automobile industry by enabling them to identify export and import opportunities and by comprehensively managing trading aspects. 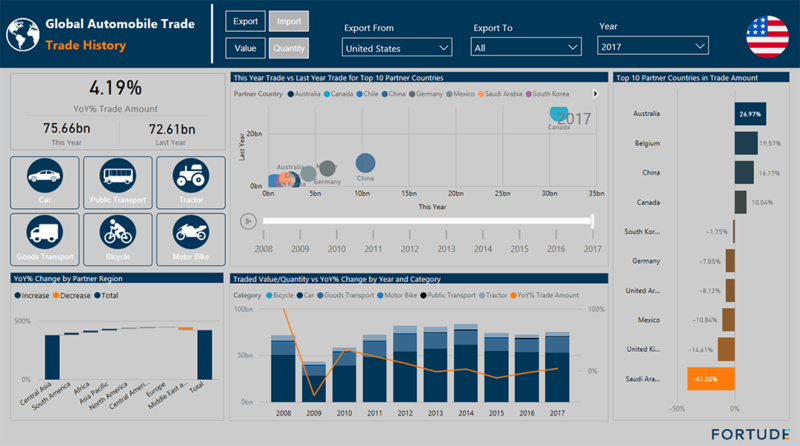 This report unlocks rich insights into the import and export activity of each country and the trade flows through interactive visuals that can be drilled-down by different automobile categories.